2019 marks two anniversaries of historic occasions for our Union. 25 April this year marks the centenary of the death of Frank Hyett, founding Secretary of the Victorian Railways Union. As the son of a working class couple from Ballarat, Hyett left school to become a worker at the age of 13 after his father’s death from pneumonia left his mother without support. Hyett’s experience of reality soon lead to him become a convinced socialist and trade unionist, moving from working as a grocery store clerk to becoming an Organiser for the Amalgamated Society of Railway Employees in February 1910. An energetic and totally dedicated Organiser, he was often away from home for months on end visiting and recruiting new members across the state. His dedication led to him becoming the Society’s General Secretary just two months later. At the time, public transport Unions across Victoria and Australia were divided on crafts lines that left their members separated from each other on poor and deteriorating rates and declining conditions. At the time, they were often at the mercy of arrogant employers, be they state or private. Hyett grasped that it was vital that all railway workers combine into a single, industry-wide Union to advance their wages and conditions collectively. By 1911, Hyett’s persistence for an industry-wide Union had impressed the many grades of railway workers. They voted by an overwhelming majority to amalgamate their respective associations into one big union, hence forth forming the Victorian Railways Union in July 1911. The VRU was the first industrial railway Union in Australian history and prefigured the Australian Railways Union which was formed a few years later. 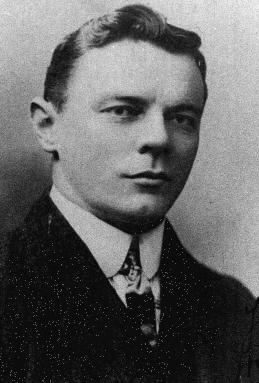 Hyett was also politically active and was arrested and jailed for his free speech campaigns against attempts to introduce conscription during the first World War. Tragically Hyett died on 25 April 1919 from the Spanish flu aged 37. When his coffin was carried by train home to Box Hill, it passed Glenferrie Oval where a cricket match was taking place: both teams stopped playing and stood in silence in respect as his coffin passed. Such was the respect working class people had for their representatives. To this day it is still ranked as one of Melbourne’s largest funeral processions. The second historic occasion to occur this year is on 15 May. 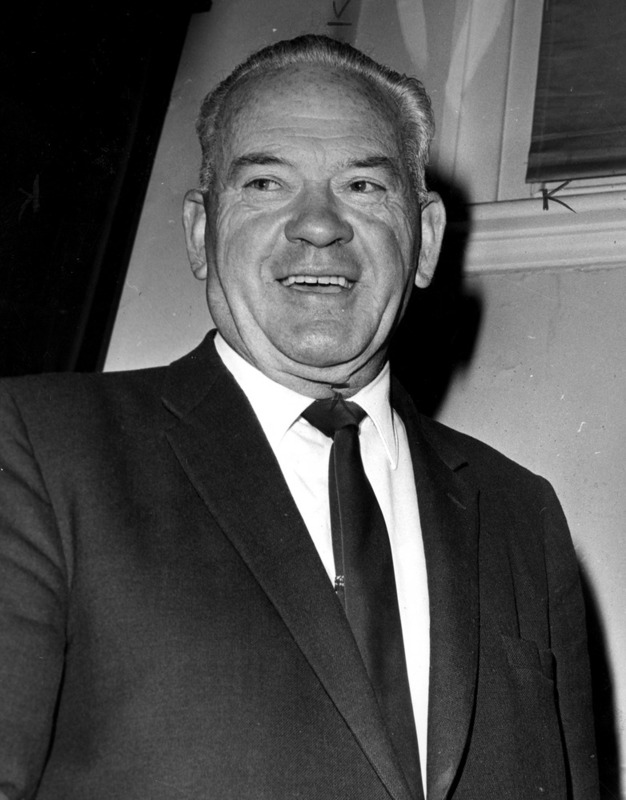 15 May will mark 50 years since Clarrie O’Shea, militant Union leader and Victorian Secretary of our Tram & Bus Division’s predecessor union Australian Tramways and Motor Omnibus Employees Association (ATMOEA), was jailed for refusing to pay penal fines for striking on behalf of the Union. By 1969, nearly 20 continuous years of conservative Governments in Australia and Victoria meant that penal fines had become so manifestly spiked against workers for striking as to make any kind of action against the employers’ greed impossible. O’Shea and ATMOEA refused to pay their fines, upholding that only their Union’s members had the right to decide what should be done with their money. The day following O’Shea’s jailing saw Victorian transport workers and their Unions leading the way as Union after Union took strike action across Australia in support of Clarrie O’Shea. No industry was left untouched as a general strike took hold and large demonstrations across the country that lasted almost a week forced the establishment to release O’Shea from Pentridge Prison .The entire Union movement as a result united around the non-payment of fines resulting in reducing the penal laws to a damp squib. The 1969 general strike was one of the greatest victories for our working class movement and for democracy in Australia, with so many lessons for our labour movement today . I am immensely proud of the part that our Union’s history played in this struggle. Today when fines and the law have become once again a blatant weapon against the union movement and the working class’s ability to defend our interests – to say nothing of inequality, insecure work, permanent unemployment and attacks on wages and conditions having become more endemic than before – the 1969 General Strike stands in our history as a powerful lesson to our labour movement today. We can only change unjust laws and build a better and fairer society if we dare to break those laws. This year, the RTBU will be commemorating the 50th anniversary of the general strike and Clarrie O’Shea’s defiance. More details on this will follow shortly. The lessons of O’Shea’s 1969 General Strike and our Union’s fighters like Frank Hyett could also not be more pressing as we approach the expiry of our current Enterprise Agreements for the major operators. All members of our collective must stay united so we can maintain our EAs’ industry standards regardless of the employer demands. The Union believes we are in a strong position coming up to negotiations, but if the bosses or operators offer us pittance or try to push us into a corner to grab what is ours, we will not hesitate to take industrial action. Our Union rises and fights together. United we stand, Divided we fall.